MySims Kingdom sets you on a story-telling journey of discovery and exploration to help King Roland and his subjects revitalize the Kingdom. MySims Kingdom sets you on a story-telling journey of discovery and exploration to help King Roland and his subjects revitalize the Kingdom. Throughout this epic quest you will hear new stories from old and new friends alike, discover fascinating new lands and build to the limit of your imagination. 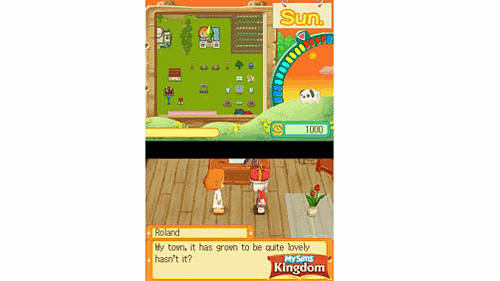 Your MySims Kingdom experience for the Wii begins in The Capital, the land at the center of your story-telling. After you have met King Roland you can venture off into the vast lands beyond. Newly-added building options will help you accomplish your tasks. And in true MySims fashion, everything is customizable, allowing every creation within your world to have a signature look! 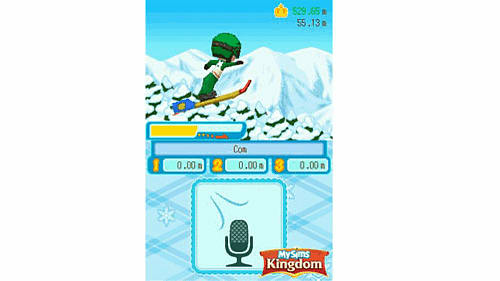 MySims Kingdom…embark on your own journey of discovery & exploration! Epic Storyline—King Roland needs your help to revitalize his kingdom! Can you join forces with the other MySims to bring it back to its former glory? New Faces and Familiar Friends—Meet new MySims like King Roland. Then say hello to old friends like Ginny and Buddy who have both made career changes that will delight you! 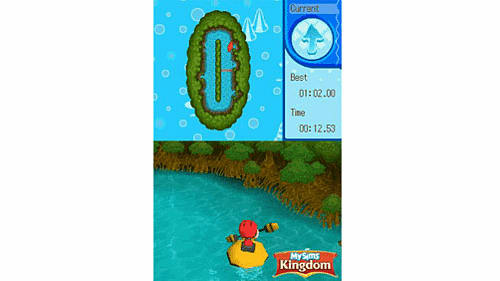 Travel to New Lands—Traverse the vast and varied lands of the kingdom, each with its own unique theme. Discover all the unique things to do in each while you help its citizens! New Building Options—In addition to houses and furniture you can now build many more contraptions that will help you finish your epic quest for the King! A New Chapter to the MySims Kingdom Story – Help King Roland defeat the plans of evil in a far flung corner of the Kingdom. 9 new minigames to show your worth!